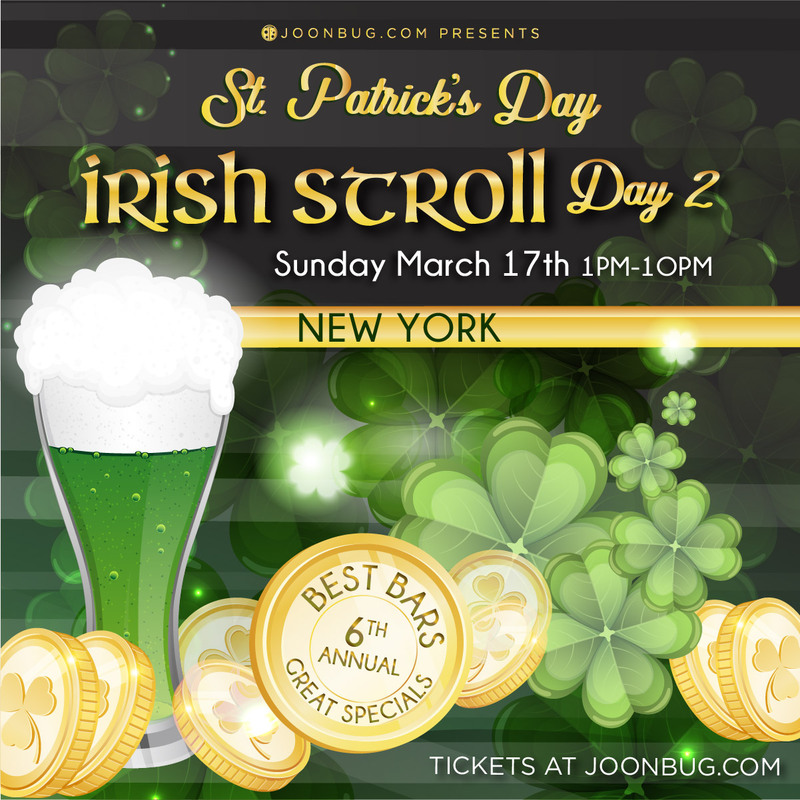 Happy St. Patrick’s Day NYC – it’s time for the Irish Stroll pub crawl! New York’s most green-spirited bars and taverns are giving Irish Strollers cover-free access to their shamrock shenanigans. Drink specials at every locale take this buzz tour to the next level, and that means you’ll save some green all over town. Hobnob with fellow nightlife devotees in green as you clink glasses and honor ol’ Ireland. New York’s legendary all-out traveling Celtic celebration is back for another Irish Stroll!